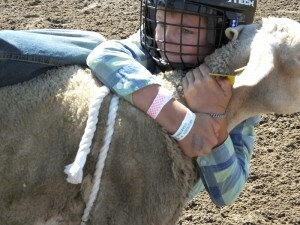 The Northewest Roundup and Exhibition featured serveral wild and woolly events for participants of all ages. 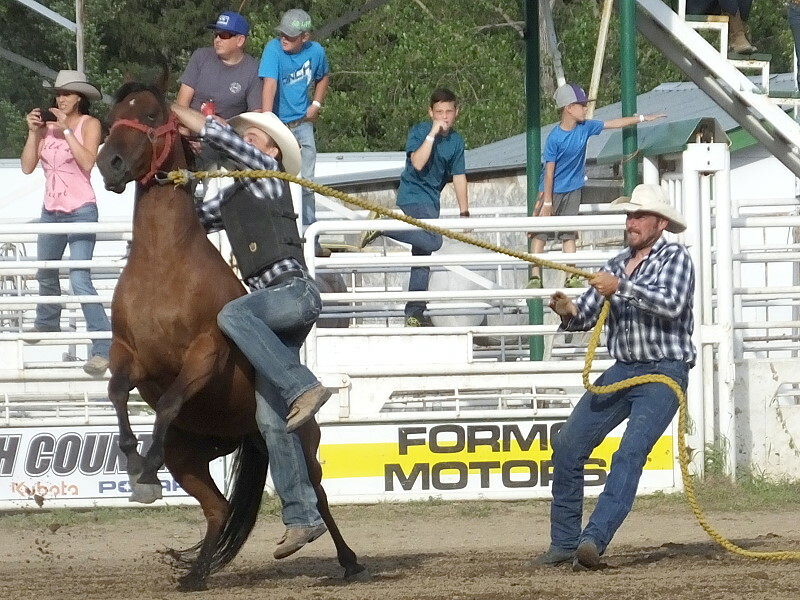 A large number of participants took part from across the Valley and beyond. 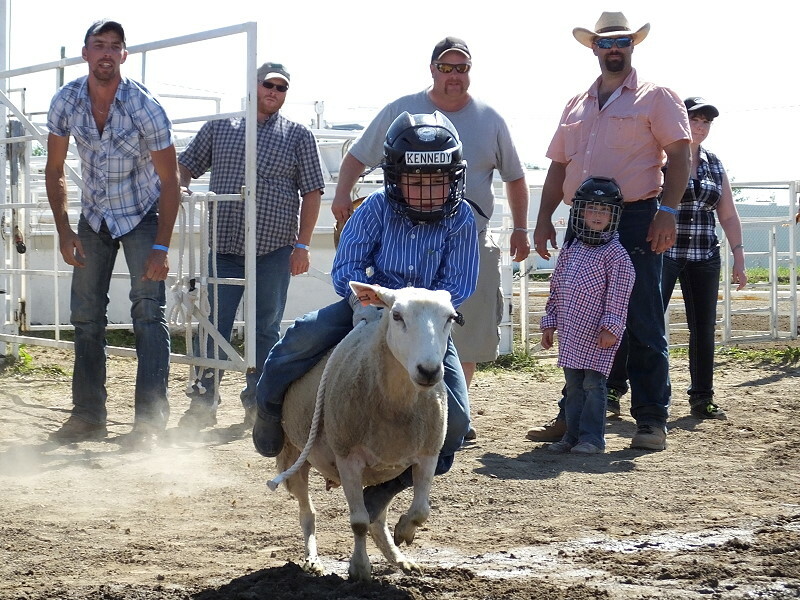 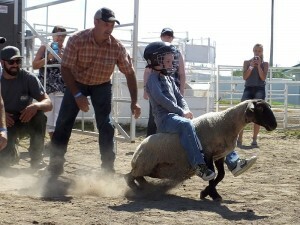 Many brave youngsters took a turn at Mutton Busting. The main strategy is “Don’t Let Go!” and ride the sheep as far as you can. 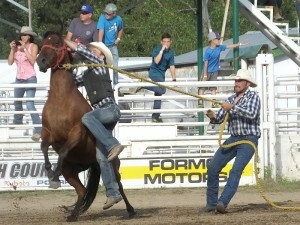 In the Wild Horse Race participants must saddle and mount a wild horse, then ride it across the line. 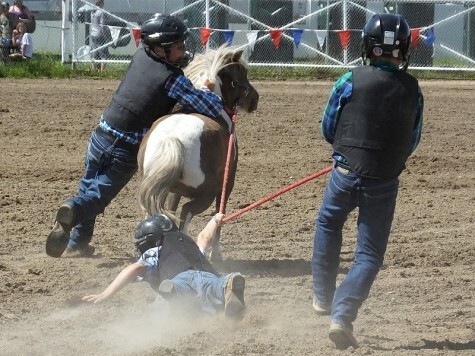 Although the Wild Pony Race is a scaled down version of the Wild Horse Race, the ponies can seem 10 feet tall for the young participants trying to get on. 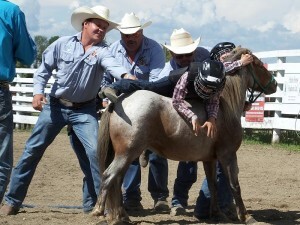 Here, one participant gets a friendly boost.